It’s no secret – the beaches around Langkawi, Malaysia are the island’s main attractions. Just visit any resort in Langkawi’s coastal areas and you’ll see a bunch of tourists frolicking under the sun. But there’s more to the Jewel of Kedah than white sands and blue waters. Check out these 5 attractions that will take you on a journey up a mountain’s peak, around a 50-hectare, folklore-themed park, and into the tomb of a cursed princess. 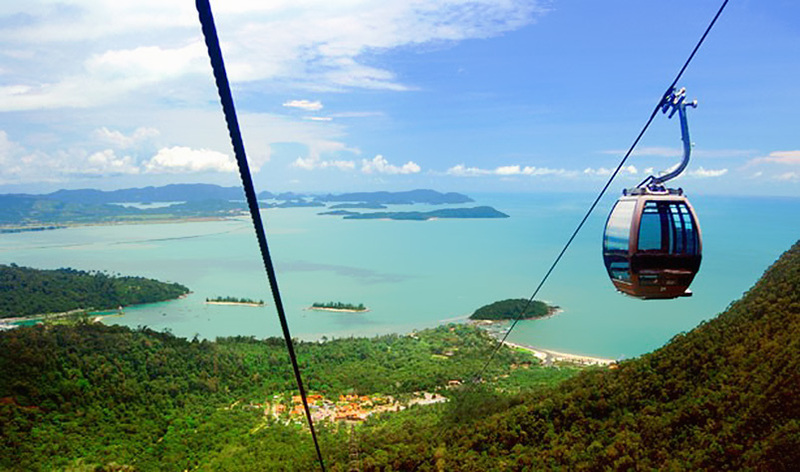 From its entrance located in The Oriental Village near Pantai Kok, the Langkawi Cable Car will take you on a breathtaking ride up Mount Mat Cincang, the second highest peak on the island. But before you reach the summit, there are two disembarkation areas. The first is at a viewing deck where you can enjoy a magnificent view of the surroundings. The second stop is on another deck a few meters from the peak, where an even higher vista of the rainforests and hills awaits. Also known as “Eagle Square” because of its 12-meter tall eagle statue, the Dataran Lang is one of Langkawi’s well-known, man-made attractions. From this monument, you will surely appreciate the beautiful scenery of the Kuah Bay and the miniature fountains, terraces, and bridges fronting the bay. If you want to shop for souvenirs after taking some holiday photos, the Jetty Point Mall and other duty-free shops are within walking distance. It might sound like another common wildlife attraction, but the Langkawi Bird Paradise is actually one of the popular tourist destinations in the island. This 5-acre park along Jalan Ayer Hangat is home to over 2,500 types of birds, and has been designed to resemble the natural habitats of its avian residents. As the first fully covered wildlife park in Asia, the Langkawi Bird Paradise has become a frequent stopover of visitors especially during the rainy months. 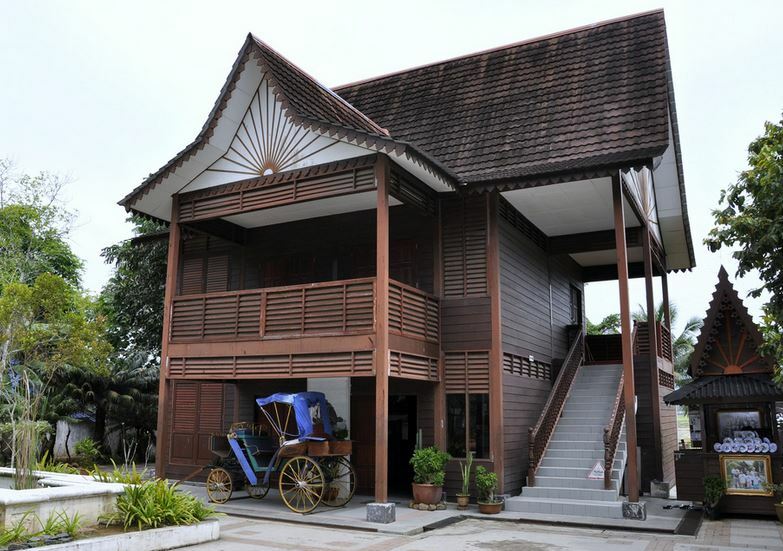 A short ride from Langkawi accommodations, like Dayang Bay Serviced Apartment & Resort, is Lagenda Langkawi Dalam Taman. 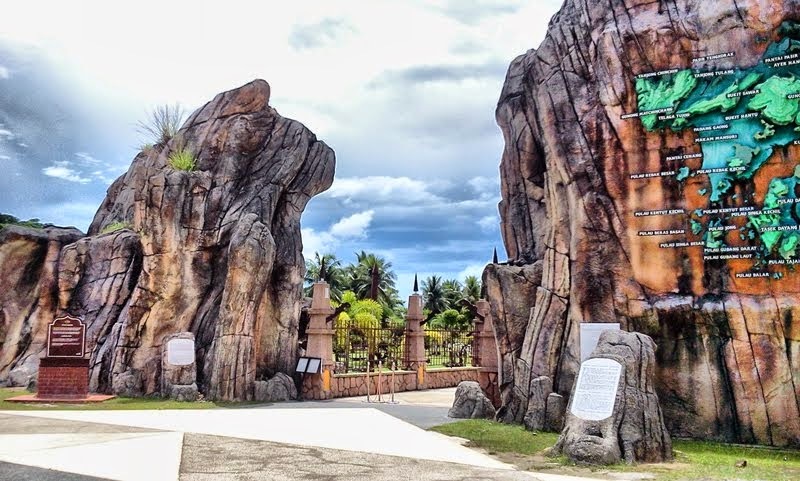 It’s an open-air, folklore-themed park that displays some of Langkawi’s famous legends. Scattered around the park are 17 colorful sculptures of heroic giants, mythical birds and ogres, beautiful princesses, and the interesting tales behind them. In this 5-hectare parkland, you will also find scenic gardens of local fauna and 4 man-made lakes. Last on the list is Mahsuri’s Tomb. Also known as Makam Mahsuri, this is the crypt of Princess Mahsuri, one of the famous legends in Langkawi. It has been told that before she was executed for alleged adultery, she cursed the island with seven generations of bad luck. Although Langkawi has been prospering and seems to be have survived the evil spell, most of the locals still believe in it, and since have turned this tomb into a historical site. The next time you plan a holiday to Malaysia, stay at a cozy resort in Langkawi, enjoy the beach, but don’t forget to visit these attractions.